Mr. Monopoly has a special deal for you! 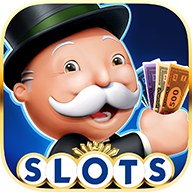 The Starter Pack is an excellent way to get a jump on enhancing the city and getting the quickest access to the most exciting parts of MONOPOLY Slots. This excellent deal is only available for new players once. You can only earn the special token through this offer, so be sure to get it while you can.